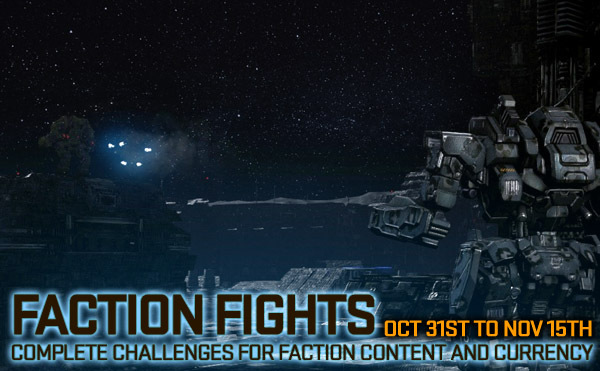 Faction Fights! 15 Days of Faction Play events and Sales! Join the Faction Fight and Complete Challenges to unlock rewards! Each Faction Event features a Faction Customization Content Sale at the same time! Check in-game for the sale items! in the November Patch, TSP Owners will also be receiving 3 copies of the "Cloud" Cockpit Standing Item. This Item is modeled after authentic Mech_Con 2018 Vancouver rainclouds.